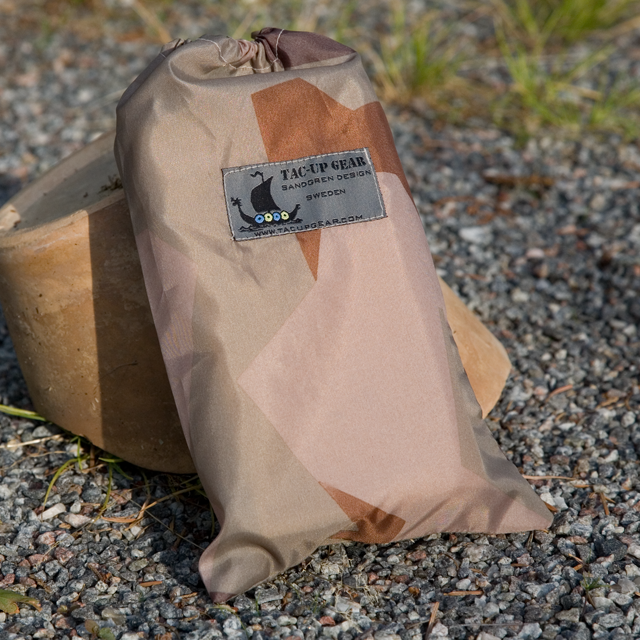 This excellent Compression Sack in M90 Camouflage is thought of for your sleepingbag or clothes, it comes in a fabric printed in Anti IR color that is water resistant. The bag can hold a normal Spring/summer sleeping bag extra t-shirt and sleeping gear with no problem and closes with string and cordlock. A half moon shaped flap helps closing the opening when drawn shut. This nice looking kit will ease your life in the field and compress your gear! Note! The bag will grip the string when closing initially from factory because of the PU coating on the back of the fabric.